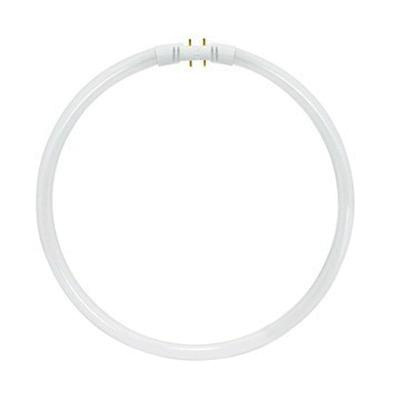 Satco HyGrade™ High performance circline 40-Watt T5 2GX13 base circline fluorescent lamp offers 3300 initial Lumens and 3350 mean Lumens for bright and crisp light output. It has color rendering index of 82. Lamp with 3000K color temperature rating radiates warm white light to the surrounding. Lamp measures 12-Inch x 0.63-Inch Dia. Lamp comes with average life of 12000 hours. Lamp is TCLP and RoHS compliant.